Private parking lot and street parking available. 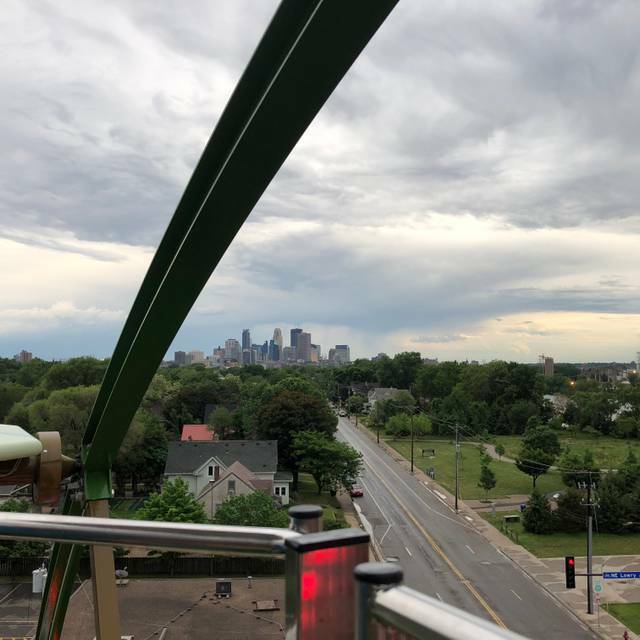 Annual Kentucky Derby Party, Art-A-Whirl Festivities, Ferris Wheel Experience with Views of the Mississippi River and Down-town Minneapolis Sky Line! Christmas Day: Open at 8:00pm for cocktails and merriment! 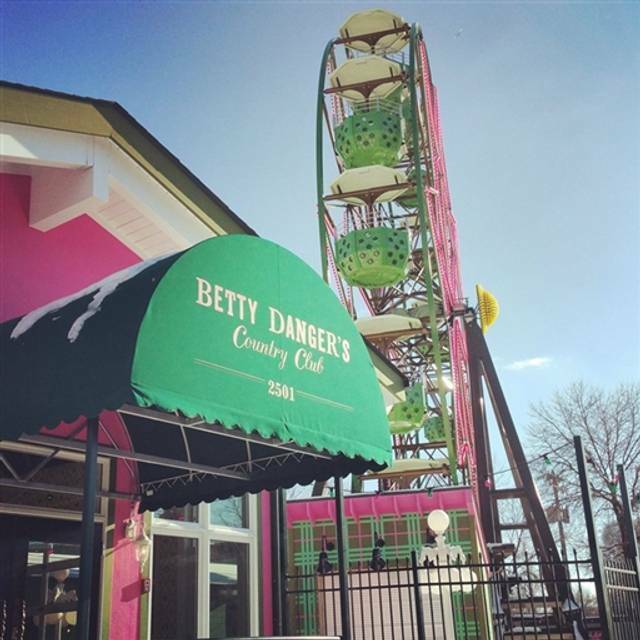 Betty Danger’s Country Club, a kooky Country Club located in Palm Springsland in sunny Nordeast Minneapolis. Home to the Danger, a vertically revolving dining and drinking experience. Now presenting; Mary’s Christmas Palace open now and running until Feb. 28th or so. Where mismatch Christmas decor with a retro flare plasters every nook and cranny…Mary, Betty’s other personality, has gone overboard with everything Christmas, including tacky balls and bows, lights, garland. Mary will debut an all new American country club classics menu with Christmas time eats and drinks for the entire winter season. Additional tables may be available if reservations are full. *Please note: reservations are for the dining room only. The Danger (wheel) & Patio seating is on a first come first served basis. DIY popcorn garland. Fun & festive! Rich, salty, hearty, and cheesy. A must try! 1/2 dozen sugar cookies, frosting, sprinkles. DIY fun for the table! The ambiance was really eclectic loved the concept Easter brunch was ok but then again brunch is brunch dish up. Will try their regular menu someday. Brunch was excellent and the service was outstanding, including the guy running the ferris wheel. I couldn't think of a better way to spend a Sunday. MUST VISIT WHILE IN MINNEAPOLIS! We visited for the first time for Easter brunch. The food was good, not great, but the extra amenities are AMAZING! 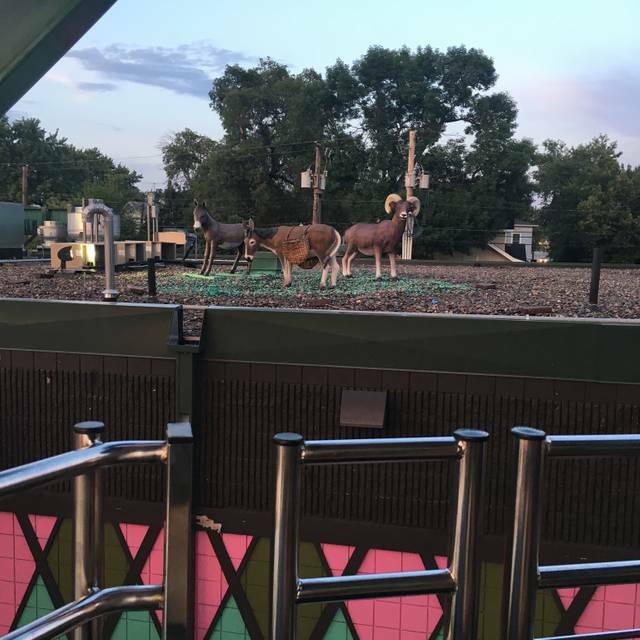 We were fortunate enough to have nice weather, so we rode the ferris wheel and played miniature golf. It was our best Easter ever! It was not crowded at all. 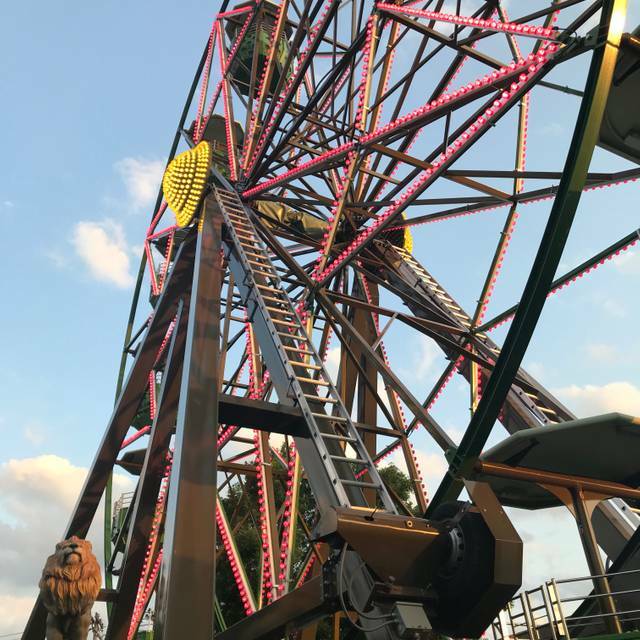 The ferris wheel is the perfect size, they have it set at the perfect speed, you can see the Mississippi River and downtown when you're at the top, it's in great structural shape, and they allowed us to go around a 6th and extra rotation. The mini golf is challenging enough without being frustrating. Both activities cost $6 each or $9 if you do both. I highly recommend Betty Danger's. We're looking forward to visiting their tiki bar, Psycho Suzi's, down the street on our next visit to the area. Great place to go for a fun family brunch. Service was really slow. Some people got drinks and food they ordered before others that had ordered first. The food was mediocre, and a couple of the drinks were not that good. This is a good place to grab a beer and take in the cool vibes and ferris wheel. It's not a great place for cocktails or food. We made a reservation on open table that specifically stated outdoor seating. When we arrived the host stated this was an error - they cannot guarantee outdoor which was very frustrating. After hearing my frustration she was very accommodating and found us a spot as well as provided us w golf tickets. Waiter was great however it took 30min to get our drinks from the bar... after we had already received our food. Clearly the staff is good at their job - they just really need more help! Will be nice to try again when the menu has been expanded for the season! Server was great, but drinks took FOREVER. I actually felt bad for him. Long waits, lots of noise, food was mediocre at best and definitely worth the price. We had a baby sprinkle here, and it was perfect. Management was really responsive with email before hand with questions about decor, dessert and activities. The wait staff was very accommodating the day of, let us set up early in the perfect off to the side spot. The food and drinks were wonderful as always. Couldn’t have been happier! Great service and excellent food. The drinks are so good. 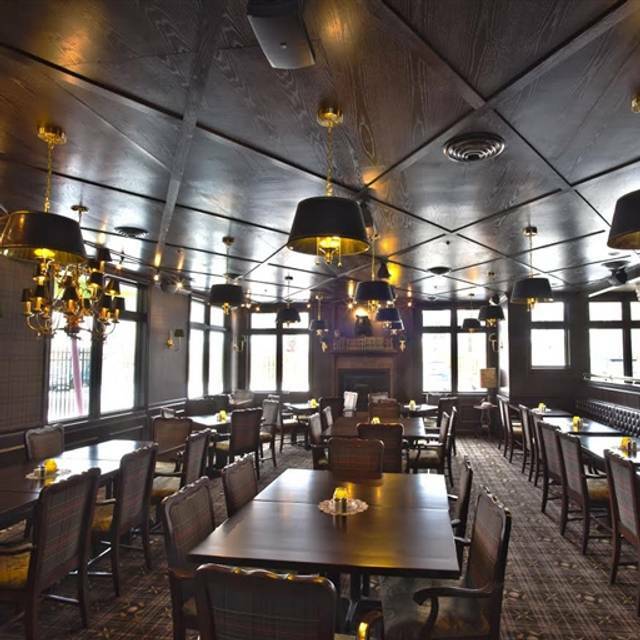 This is a fun place for casual dining or celebrating a special occasion. 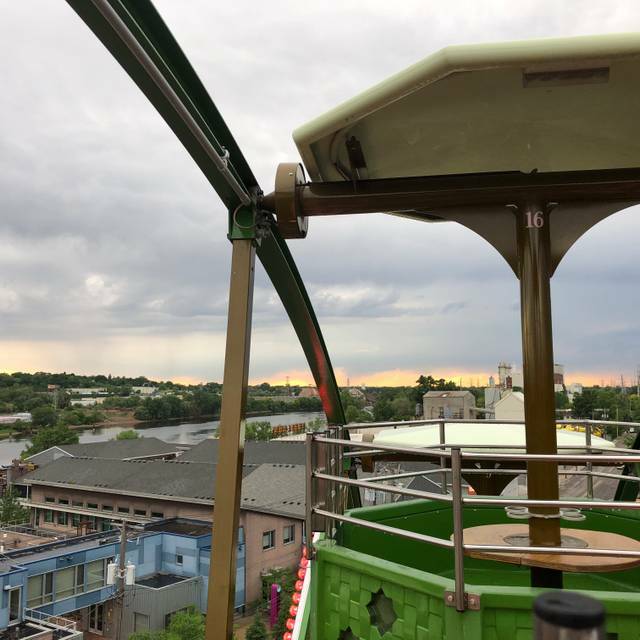 It wasn't warm enough for us to request a table in the Ferris wheel but you can bet we'll be back when the weather is nicer so we can experience that. 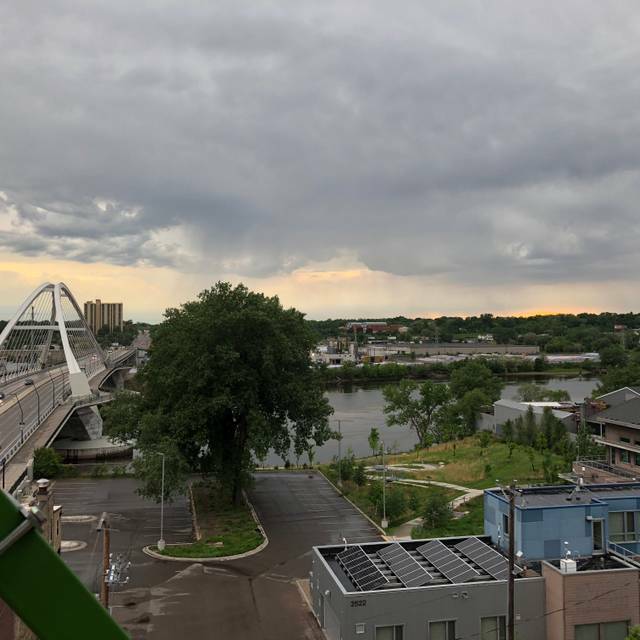 I had a client visiting Minneapolis with his family - they loved it. Food was great and we golfed - had a total blast. Highly recommend if you are looking for something out of the ordinary. A fun, and unique spot for delicious food and beverages. The staff were helpful, efficient and adorable. The food was tasty and plentiful. The cocktails were amazing. Lots of fun things for adults, and children who can act like adults, to do and see. I would not recommend the Ham Hash. It is a bowl of potato wedges with a few other things like eggs, ham, sauce and 2 Brussels Sprouts. Since I ordered it for the BSprouts, this was disappointing. So much fun!! Everything was fantastic, I highly recommend the donut party!!! It was great. Fun place. Can’t wait to go back during the summer. Server was sweet but her head was not there, maybe overwhelmed or having a bad day. Forgot our order, didn’t check for utensils, had to ask twice for items. All happens but didn’t really offer any service recovery and I felt guilty leaving a smaller tip. Had brunch and bottomless mimosas. Great experience. Our server was one of the best servers we’ve had in quite some time! Menu needs work. Offerings for dinner were slight. The potato chip fried chicken was greasy and lacked both side dishes and flavor. Mix up on food with quite the wait total. Pleasant staff but not the most organized. I checked the menu before I made the reservation, thinking I can eat fish since it is lent and I am not able to eat red meat, however, I was told that they changed the menu and website wasn't accurate, I didn't get to eat fish. Small limited menu. Service was slow. Difficult to reorder drinks. Great ecletic interior, good menu and great server! Great service, great vibe, excellent for kids, 10/10 would come back. 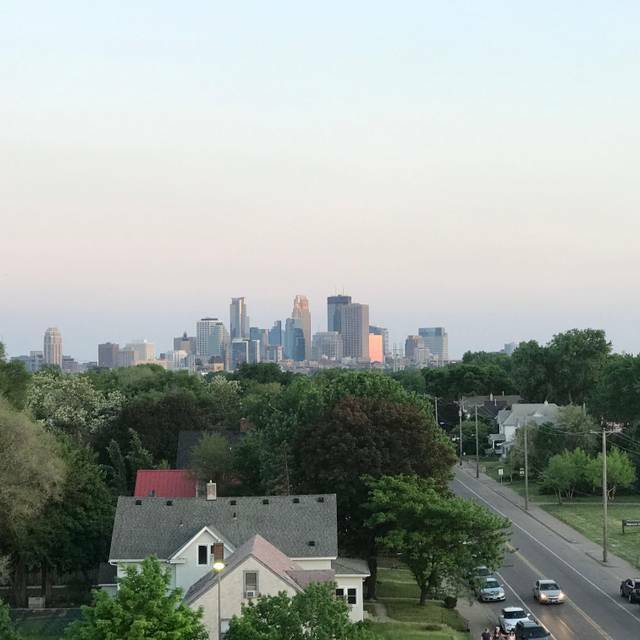 One of my favorite places in Minneapolis to go have food and drinks! A fun unique place to eat. Great service, food came out quickly and friendly people working there. The food was excellent! Service was great too! Service was excellent. We had the breakfast buffet which was good old fashioned comfort food. Good for a cold winter's day. If you are on a diet it was a little heavy on the protein , fat and salt. Very much a 1970's meal. My daughter's and I enjoyed our visit.. However, I think the pricing is a bit high and the waitress at any given time had us waiting a long time and it wasn't busy.. It was fun though! Our server was fantastic. Gave us lots of recommendations. This restaurant has lots of character and is very interesting to look at all the decor. Food was so good. We love this restaurant. The prickly pear slush drink is amazing! A great experience, I adore the kitsch and the Christmas decor in February. It's a wonderful place with great food and wonderful service. Excellent service, great food, fun atmosphere. Will definitely go back. Loved the Christmas decorations still being up in mid February!! Looked like a British Pub in London!! Service was very good. 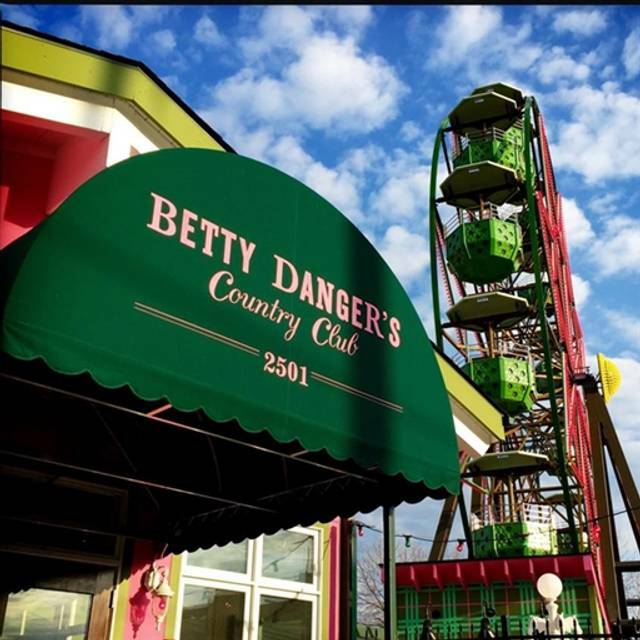 We often go to Betty Danger's during the summer for a drink and a ride on the ferris wheel- it's great for that purpose! We went for dinner for Valentines day (admittedly, we planned poorly due to the stress/joy of having a 2 month old, and this was far, far from our first choice, but we had childcare and needed to get out!). The entire place looked like the tackiest Christmas bomb went off- obnoxious decorations everywhere, and certainly not nearly as charming as the place usually is. They had a "special" Valentine's day menu filled with overpriced salmon, steak, and other standard fare- $27 for a mushy steak, mediocre mashed potatoes, and some veggies I can't remember. The salmon was $24 and looked like the salmon one can eat for $5 at IKEA. I could have made something much better (and often do). Not only that, their usual menu with tacos, enchiladas, etc was filled with "Christmas comfort food".... While we went with low-ish expectations, it was extremely painful to pay $100 for a beyond mediocre meal in a pretty ridiculous setting. Sorry Betty's, you're great for a drink but we'll never have a meal here again!